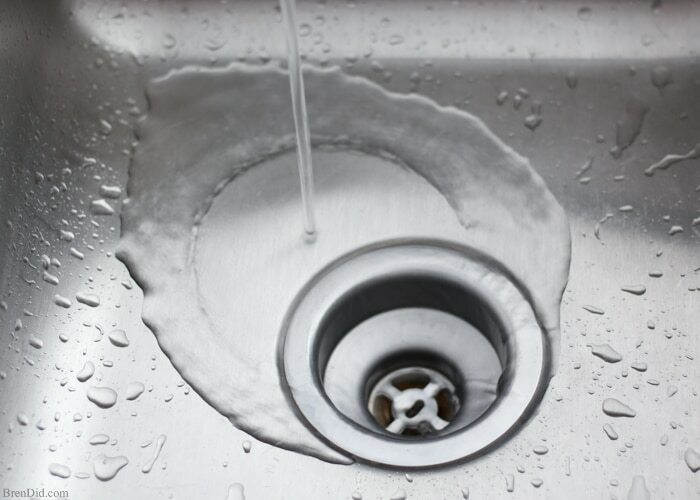 It seems that nearly every home out there has at least one stubborn sink that clogs up all the time. Each time it gets plugged up you plunge it or maybe pour an OTC drain cleaner like Drain-O down it, but in a couple weeks or months, it clogs right up again. It’s your home’s problem drain. It’s so much of a problem in fact, that you may even try to avoid using it all together. You’ve deemed it to be non-functioning simply becausae the frustration and effort of clearing it every time it gets clogged isn’t worth the hassle. We’re here to tell you not to lose hope! Don’t give up just yet… You see, drain clogs happend for a number of reasons. Foreign objects flowing down the drain and into the pipes can cause back ups, soap scum, dead skin, food waste build up are other worthy causes. But regardless of the reason for the clog, there may actually be something that you can do to get that problem drain flowing like new. This is where hiring a local plumbing company to provide you with professional drain cleaning services can be a good idea. Below we will outline 4 main reasons that we suggest hiring a plumber to clean out all of the drain lines in your home. Don’t worry, the fact that we are a professional local plumber isn’t on the list. This is about you, your problem drain, and your home’s plumbing systems’ well being. We’re sure the question of why your drains keep getting clogged runs through your mind more than a little bit. Typically it’s as simple as the presence of items inside your home’s pipes that a plunger is not capable of removing. Think soap residue, grease, hair trimmings and the like. Stuff that gets washed down drains every single day without as much as a thought. When these items collect inside your homes pipes they restrict waters ability to flow through the now narrower pipe opening. This can cause all sorts of grief, frustration, and eventually severe damage to your homes sewer system. Most homeowners decide to play the dangerous game of pouring powerful but potentially harmful chemicals down frequently clogged drains in hopes of clearing them out. And while these over the counter products might produce quick & easy short term results, you may notice they need to use them every couple of months. You ever ask yourself why that might be? These drain clearing chemicals actually do a pretty good job of removing gunk from the inside of pipes. However, they do a very poor job of clearing the entire line. Essentially they only push the clogging materials further and further down the drain line never really clearing it at all. This leads to stronger and stronger build up further and further down the line and can result in catastrophic failure of a sewer line and 10’s of thousands of dollars in sewer line replacement costs. When you hire a plumber to use an auger, snake, or hydrojetter to clear the drain lines in your home, they produce a force that is long and powerful enough to actually clean a drain line from sink/tub all the way down the line. Proactive drain cleaning in this place will help to prevent future clogs and dangerous buildup further down your pipes. Another major advantage of having a licensed plumbing company perform your drain cleaning service is getting an overall check up on your homes plumbing system. When a true pro cleans your drains, they’re not just clearing clogs. They can also use their time in your home to locate and identify other underlying issues. Corrosion of pipes due to rust or chemical drain cleaners, normal wear and tear, leaks, breaks or fractures, as well as tree-root intrusions can all be identified by the right plumbing company. You can also take the time to asks questions about other plumbing problems, appliance upgrades, or replacement ideas you might have. 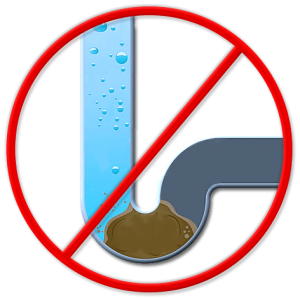 When plunging a drain no longer clears the clog and has been rendered useless, homeowners tend to move to dangerous over the counter products. While we have outlined the associated dangers above there is one other scary fact that we would be remisce to mention. Acid. That’s right, acid.. 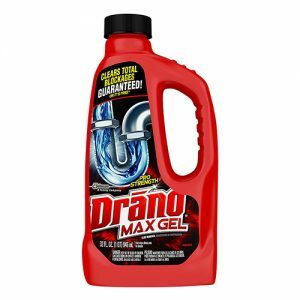 The 2nd way these chemical drain cleaning products work is by producing acid inside your homes pipes that eats away at the clog. The key problem with these chemicals is that acid doesn’t discriminate between your clog and the pipes themselves. Prolonged and excessive use of chemical drain cleaning products can provide a short term solution while creating an entirely new and severe issue: a broken sewer line. A professional plumbing company can provide you with a much safer, better for the environment, and non-toxic alternative to clearing your clog without hurting your pipes. 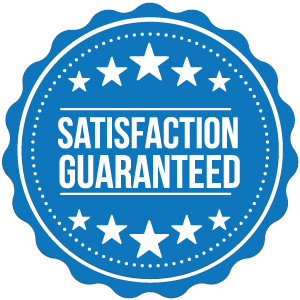 Far and away, one of the most overused terms in all of plumbing is, “Satisfaction Guaranteed.” Every company claims it but what does it really mean? When it comes to Flow Plumbing and our Drain Cleaning Services in Dallas, Mesquite, Garland, and the surrounding areas, it means that we will clear your drains the right way, every time. You see, the right way is the right way and nobody ever complains about a job getting done correctly. When you call on us to provide your drain cleaning service we will dispatch one of our friendly plumbing technicians, in fully stocked truck, with the equipment necessary to clear even the toughest clogs. They will show up to your home with the experience, expertise, and equipment necessary to meet your specific needs. There is a reason Flow Plumbing in Mesquite has an average Google Review Rating of 4.5 stars. And that is because we aim to exceed the expectations of every customer we serve, everytime!